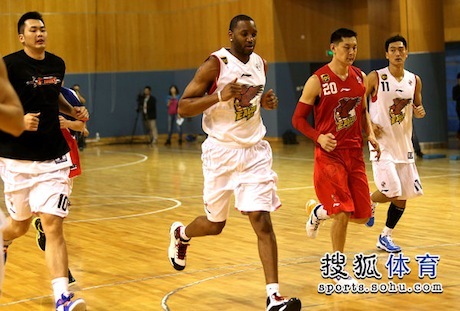 If you didn’t know, Tracy McGrady is now playing in the Chinese Basketball Association. 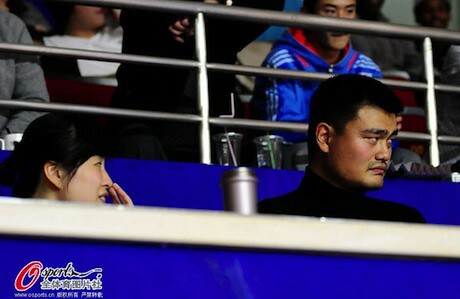 It’s not going well for his new team, the Qingdao Double Star Eagles. They are winless in the new season. 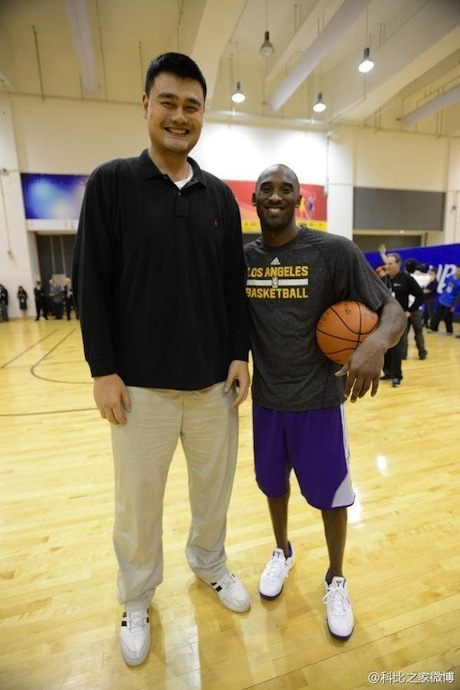 Coincidentally, they played Yao Ming‘s winless (0-3) Shanghai Sharks Sunday afternoon in Shanghai. 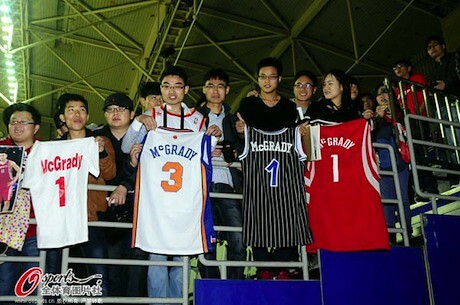 Surprisingly, there are still lots of McGrady fans in China from his days playing with Yao in Houston. 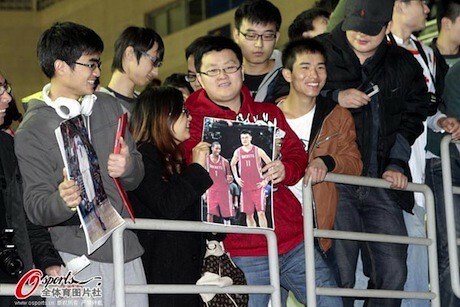 Many of them showed up at the game to pay homage. 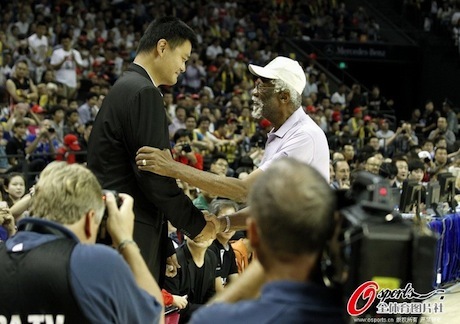 On top of that, millions of basketball fans in China were looking forward to watching on TV Yao and McGrady meet up, hopefully on the court for all to see. But unfortunately it didn’t happen. 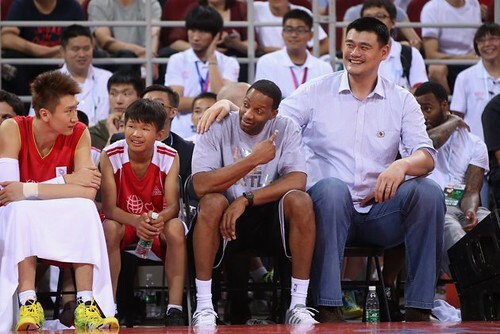 The only solace was McGrady pointing to Yao up in the stands. 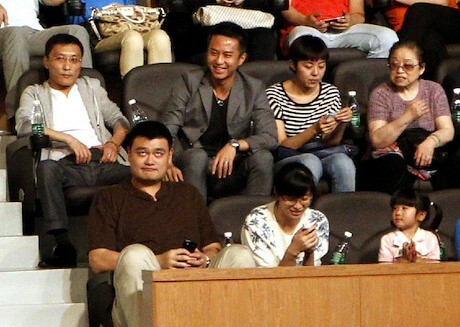 Yao and McGrady were scheduled to have dinner the night before, but it had to be postponed since Qingdao’s head coach arranged for a team meeting that conflicted with it. 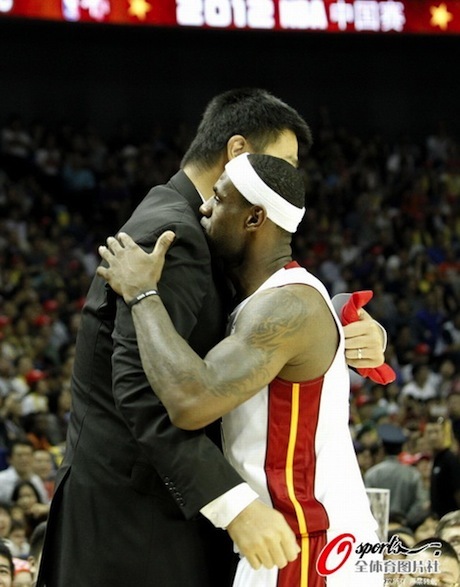 But they were able to meet up Sunday evening after the game. 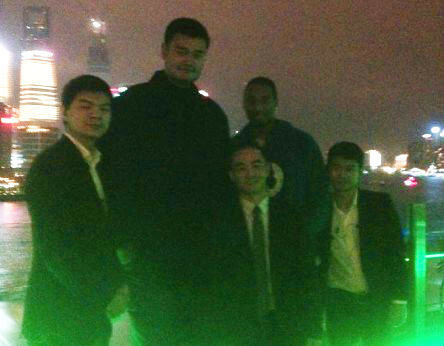 No really good photos are available other than the one below with Yao, McGrady and other guys on The Bund after dinner. 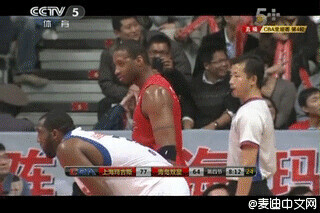 Although McGrady played well (23 points, 9 rebounds, 3 assists and 2 blocks), Qingdao lost their 4th game in a row, and are 0-4 on the season. 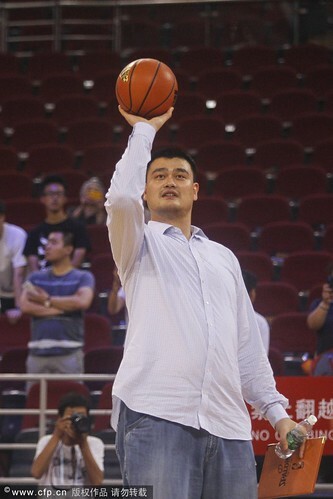 Fortunately for Yao, his Shanghai MAXXIS Sharks played their best game of the season, snapped their own winless streak, and now have a 1-3 record. 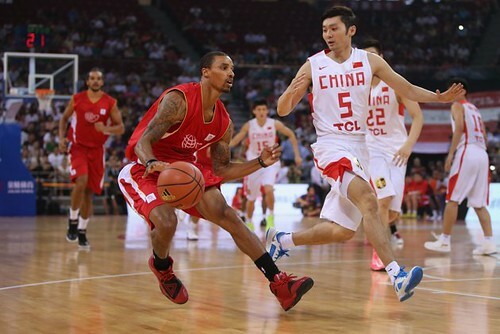 For more photos and coverage of the game and the events around it, click here. 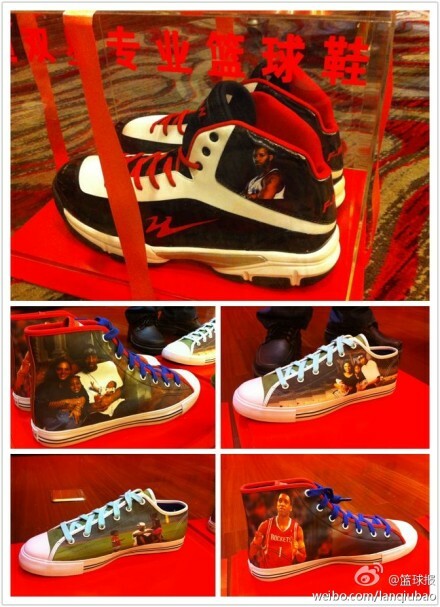 If you hadn’t heard, Tracy McGrady has taken his talents to China since his career in the NBA is basically over. 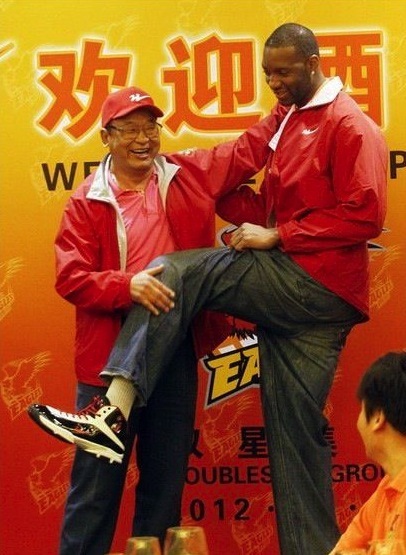 Specifically, McGrady signed with the Qingdao Double Star Eagles in the Chinese Basketball Association. 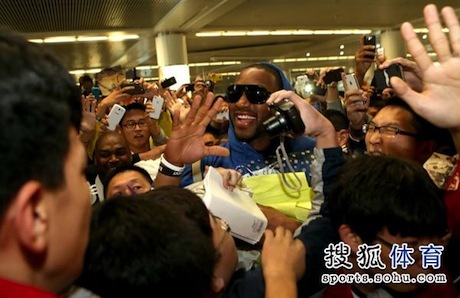 He received an incredible welcome at the Qingdao airport about 10 days ago (see photo below). 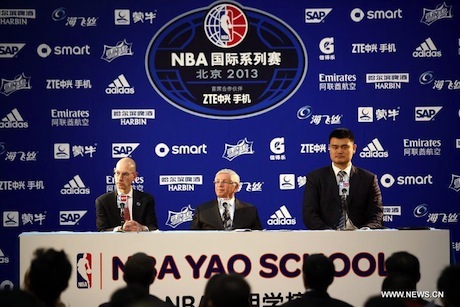 You never know in China if ‘fans’ like this are paid by a sponsor (Adidas in this case) to create a good photo-op and publicity for their brand. 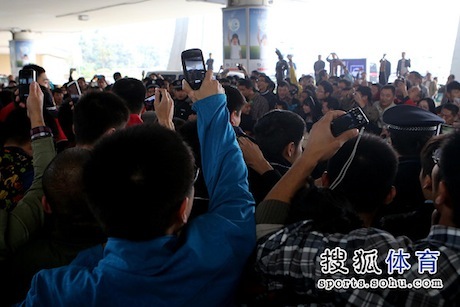 But regardless, it’s amazing that an athlete way past his prime can get this kind of turnout and adulation in China. 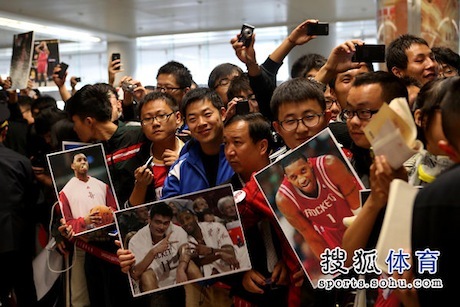 Click here for more photos of the greeting McGrady received at the airport. 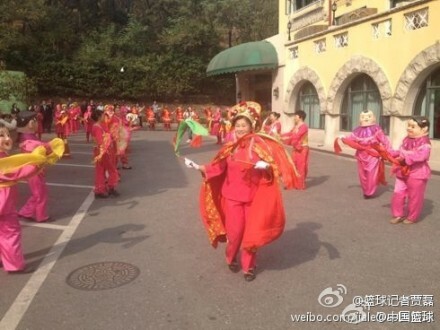 He was then picked up by a Rolls Royce and taken to a 5-star hotel (part of his contract demands), where he was welcomed by traditional Chinese lion dancers. 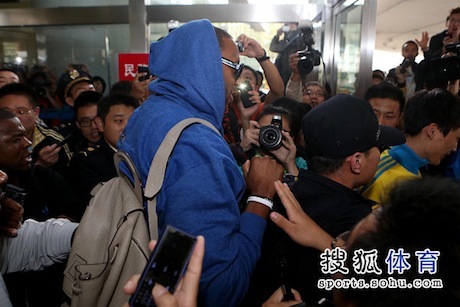 Click here for more photos of the welcome that McGrady received at the hotel. 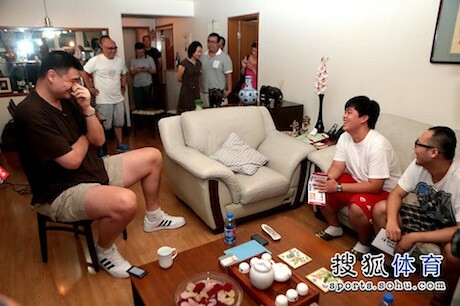 The next day, the chairman of the Quingdao Double Star Group held a welcome reception for McGrady, and gave him new pairs of special shoes produced by their company, one of the biggest low-cost athletic shoe companies in China. 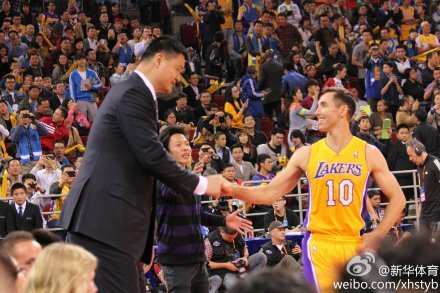 Click here for more photos of McGrady at the reception. 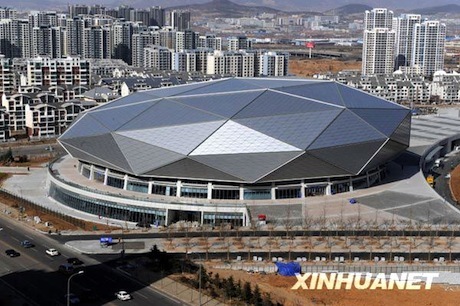 McGrady’s stay in the hotel didn’t last long, though, since he decided to move to another 5-star hotel, the Quingdao Haitian Hotel, which is closer to the new stadium (pictured below). 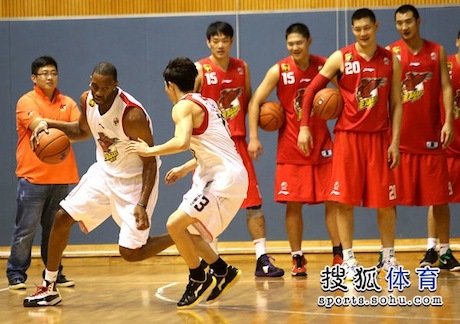 McGrady soon practiced with his teammates for the first time. 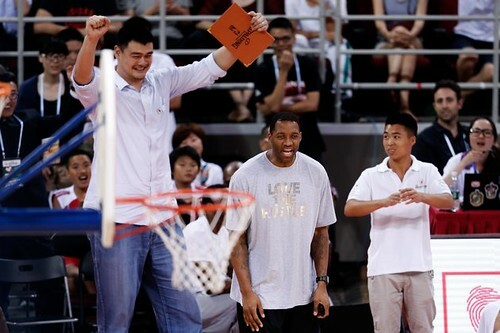 Click here for more photos of McGrady working out, and at the practice. 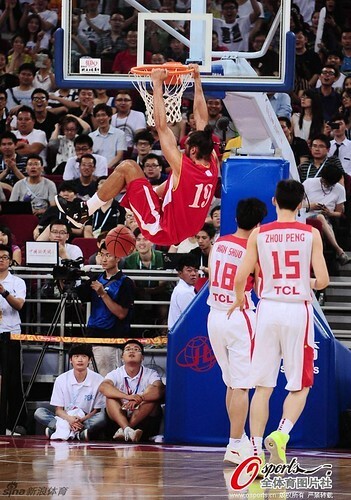 Some reporters mentioned that McGrady was much slower than he used to be, had lost much of his lift in his jump shots, and even missed an uncontested dunk with no players around him. 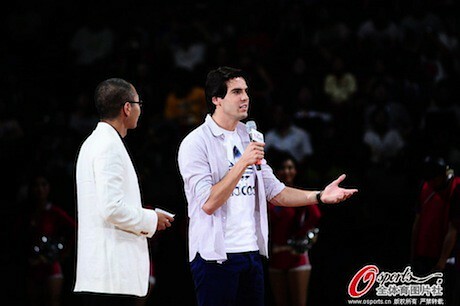 – In addition to the team paying for his 5-star hotel as his residence, he will be paid between US $800,000 to $1 million for one year, and the team will have an option to sign him after the first year. 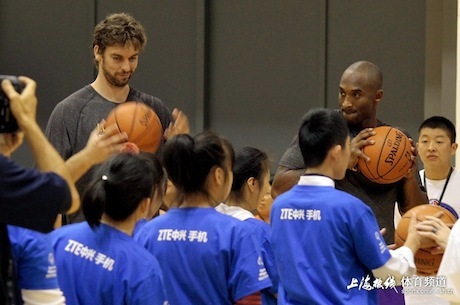 – If the team makes the playoffs, he can’t leave. 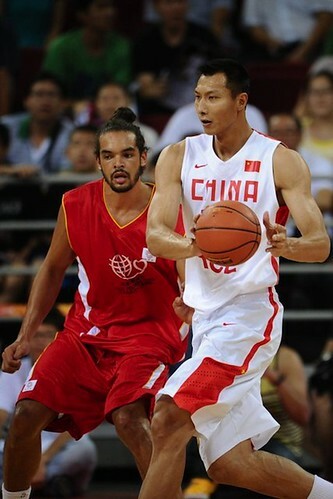 He has to continue playing. 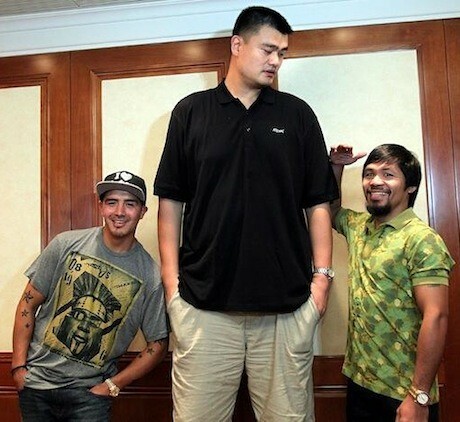 – On road trips, he has to stay in the same hotel with his teammates that the team has arranged for them. 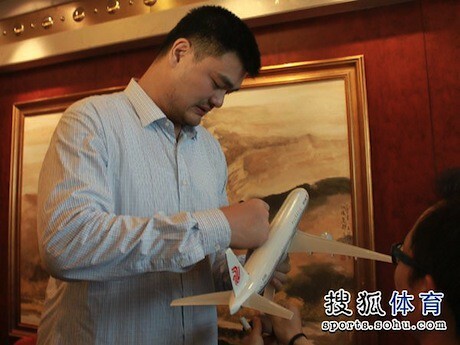 – He will receive an allowance for a couple of round-trip tickets to the U.S. to see his family, or his family wants to visit him in China on certain Chinese holidays. 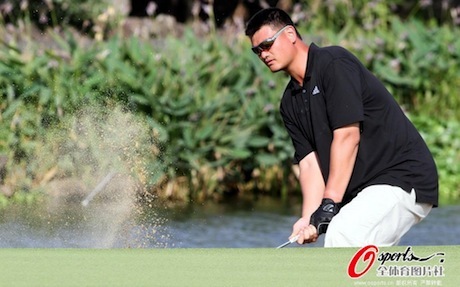 A few days ago Yao played a ton of golf at the 2012 Mission Hills World Celebrity Pro-Am Golf Tournament held October 19-21st in Haikou, Hainan Island. Click here for a map of the location. 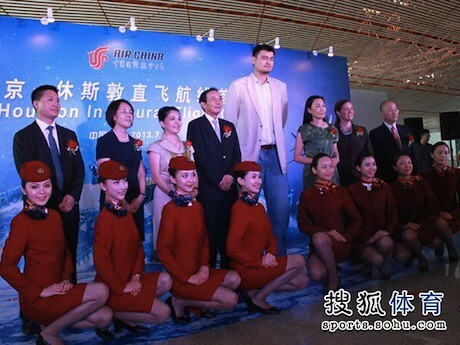 There were tons of photos taken of Yao at the tournament. 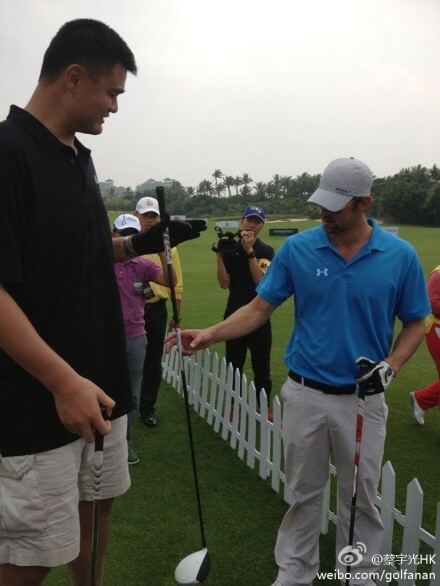 The day before the tournament started, Yao met Michael Phelps at the practice range. 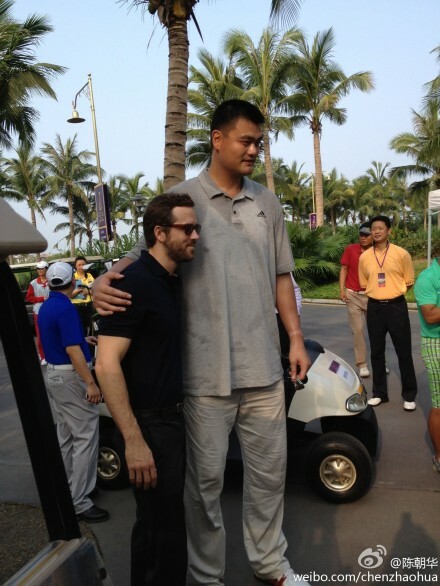 Yao also got some golf tips from China’s #1 golfer, Zhang Lianwei. 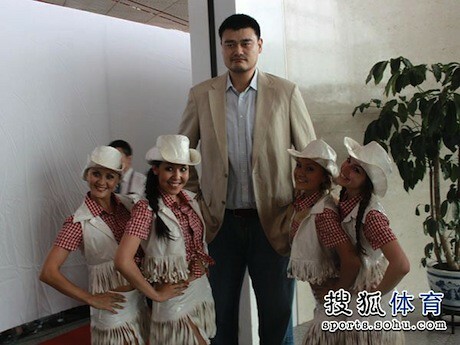 Yao also got some special treatment by getting a golf cart with the top removed since Yao is too tall to fit underneath the roof of a conventional cart. 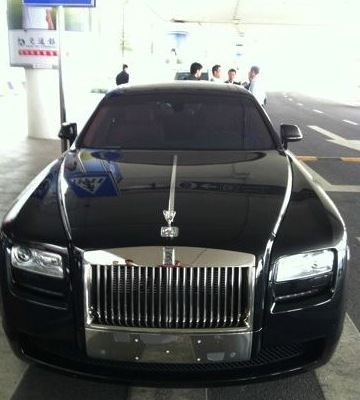 Below Yao’s wife Ye Li is driving the cart. 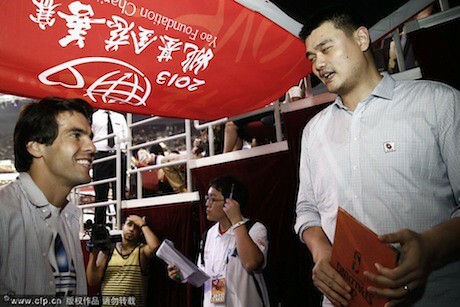 The next day, the tournament started and Yao met actor Ryan Reynolds. 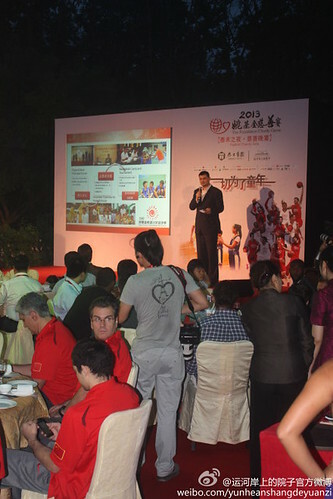 Yao continued to play a couple of more days of golf at the tournament. 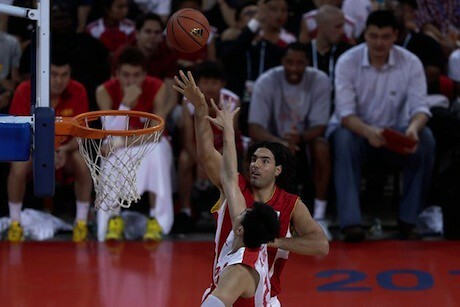 Here are a couple of photos of Yao in action on the second and third day of the tournament, respectively. 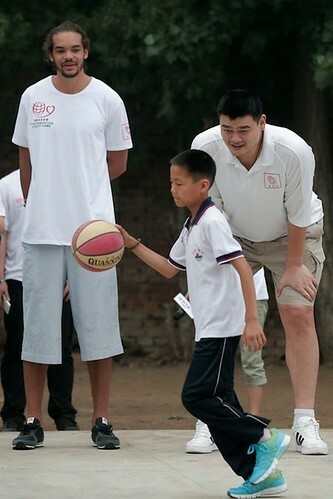 Click here for more photos of Yao in action on the golf course. 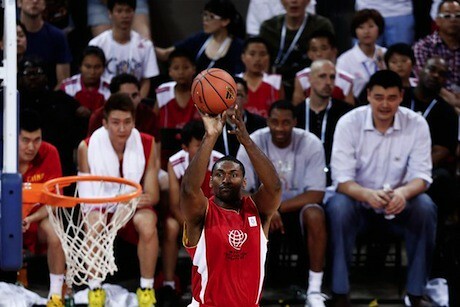 American pro golfer Matt Kuchar and actor Andy Garcia won the pro-am team competition. 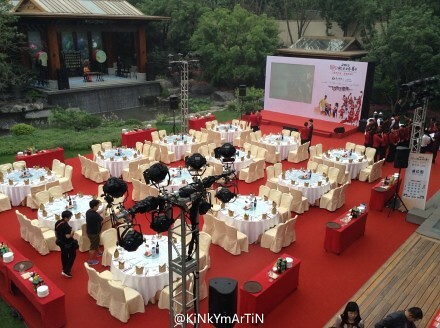 Thanks go to Raymond in the forum for posting these photos. 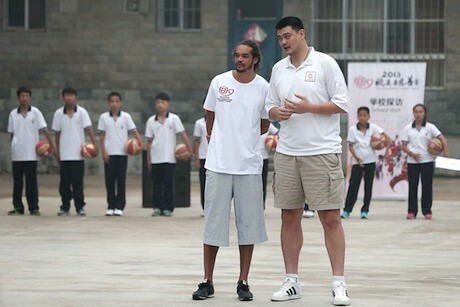 More details from Raymond about Yao at the tournament start here. 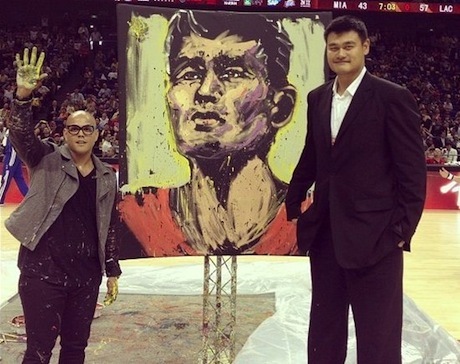 At halftime, Yao was surprised with a gift from graffiti artist David Garibaldi, who painted an oil painting of Yao in the arena during the game. Garibaldi placed fourth in the “America’s Got Talent” show. 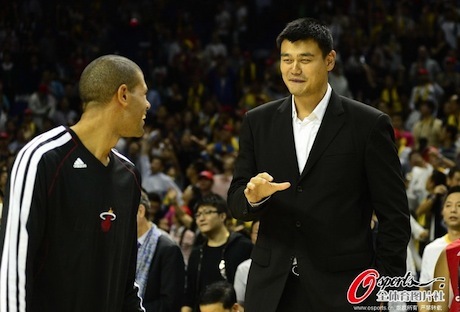 Finally, at the beginning of the 4th quarter when both teams started playing their backups, the full capacity crowd of 18,000 chanted in unison Yao Ming’s name, pleading for him to come on to the court and play. 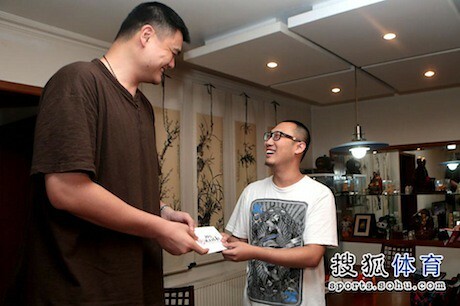 In Yao’s typical understated style, he just shrugged his shoulders and smiled to the fans.